This weekend is a busy one for GB Judo with judoka fighting in Croatia, Italy and Germany as well as the Grand Prix in Turkey. 2017 British Championship bronze medallists Verity Stephens (-63kg) and James Martin (-66kg) will be stepping on the mat in Croatia on Saturday 7 April. This will be Stephens first international competition since 2016 when she fought at the Glasgow European Open. Martin has fought at the Dusseldorf Grand Slam in February and the Uster-Zurich Senior European Cup in March, in his first international appearances since 2015. Over 30 British judoka will be looking to continue that run of form in Italy this weekend. Current Junior European silver medallist Acelya Toprak (-57kg) will be looking to get some fights under her belt ahead of European Championships debut in Tel Aviv later this month. Fellow -57kg judoka Josie Steele has made a strong start to the year including a silver in Thuringia and the EYOF bronze medallist will want to add a first Junior European Cup medal to her name this weekend. 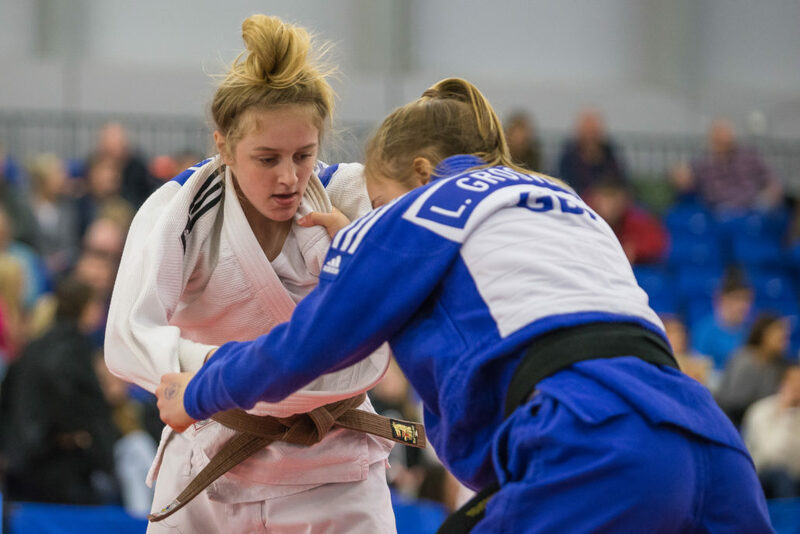 Yasmin Javadian (-52kg), Shelley Ludford (-78kg) and Harry Lovell-Hewitt (-90kg) have all medalled this year and will be among the medal hopefuls for GB Judo as will current British champions Kelly Petersen-Pollard (-70kg) and Henry Wakes (-60kg). A 26-strong GB Cadet team will be looking to gain invaluable experience of high-quality international competition in Berlin this weekend. The European Cup in Germany is one of the strongest on the Cadet circuit and will be a good test for the British judoka. Sian Bobrowska (-48kg), Tatum Keen (-52kg), Leah Grosvenor (-57kg) and Darcie Hancocks (-57kg) have all medalled at Cadet European Cups this year and will be aiming to continue that run of success in Berlin.